Come to Pickwick Lake and enjoy fishing for these powerful bronzeback bass on medium spinning tackle. Fish Pickwick Lake on the Tennessee River, the tailrace of Joe Wheeler Dam, Wilson Lake, or Wilson Dam. 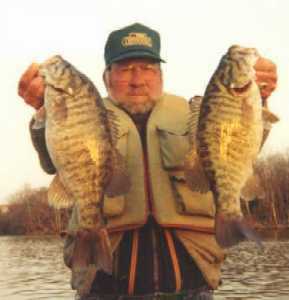 My name is Carl Boaz and I guide exclusively for trophy smallmouth bass (over 5 pounds) and large hybrid striper bass. We have catches of up to 100 fish a day including largemouth bass, spotted bass, walleye, sauger, white bass, yellow bass, saltwater striped bass, hybrids, bream, crappie, drum and catfish. Check out the links below for pictures from my previous fishing guide trips. All smallmouth bass caught are released except for one per person per trip. Keep your catch for all other species of fish.